Make less than $55K? You may qualify for tax prep help. Get an appointment at your closest tax prep center. Get your taxes filed by a pro and your $6,431 EITC sooner! FREE Tax Prep Los Angeles is a trustworthy and stress-free way to file your taxes. File with confidence at a Volunteer Income Tax Assistance (VITA) site and keep more of your hard-earned money. IRS-certified volunteers provide free basic income tax return preparation with electronic filing to qualified individuals. Persons with disabilities, the elderly, and limited English-speaking taxpayers who need assistance in preparing their tax returns are encouraged to participate. To find more information on free tax preparation assistance—including location, hours of operation, appointment types, and more—use the search tool below. Why pay to file when you may be eligible to file for FREE with an IRS-certified tax volunteer? If you make less than $55,000 annually, you may qualify for cash back through the Cal EITC and Federal EITC – but only if you file. Claim what’s yours. Filing a tax return is the only way to get it! If you are low-to-moderate income household, you may be eligible for the Federal and Cal Earned Income Tax Credits (EITC). The Federal EITC is a refundable credit worth up to $6,431 that is available to low-to-moderate income individuals and families. The Cal EITC is worth up to an additional $2,879. That’s a lot of money back in your pocket! In previous years, nearly 1 million Los Angeles County residents received an EITC refund, but an estimated almost 330,750 did not apply it, leaving almost $580 million on the table. You, your spouse, and any qualifying child you list on your tax return must have a valid Social Security number. ● If you work for yourself (self-employed) or have a business. - Use the Eligibility and Calculator tools to estimate your Federal EITC and Cal EITC. *These figures are based on the 2018 tax year. 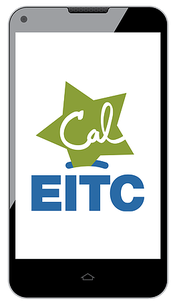 Income numbers reflect the maximum amount you may earn and still qualify for CalEITC. Filing a tax return is fast and easy. Now that you know how much extra money could be coming your way, you should also know that there are professionals who will help you prepare your federal and state taxes, free of charge, throughout Los Angeles. To find information on free tax preparation assistance—including location, hours of operation, which sites offer appointments or walk-ins, and more—use the search tool below. Gathering all your tax documents ensures an accurate return and fast refund. All taxpayers must be present with photo identification. Social Security cards or Individual Tax Identification Number (ITIN) letter for all the people you list on your return. Birthdates for all the people listed on your return. Copies of last year’s federal and state tax returns. All income statements, such as Forms W-2 and 1099, Social Security and unemployment compensation, as well as other statements including pensions, stocks, interest and any documents showing taxes withheld. If you are self-employed or make cash you must collect records of all your income and expenses. All records of other expenses such as tuition, student loan interest, mortgage interest, or real estate taxes on Form 1098. Dependent child care information (name of paid caretakers and either their Social Security number or other tax identification number). If you purchased insurance coverage through Covered California, use Form 1095-A, Health Insurance Marketplace Statement. Sign up for a bi-weekly newsletter from United Way of Greater Los Angeles for news, event, and program information.